iPhoney Goes 1.1. iPhone RSS News. Marketcircle’s updated their iPhone emulator (iPhoney) to version 1.1. 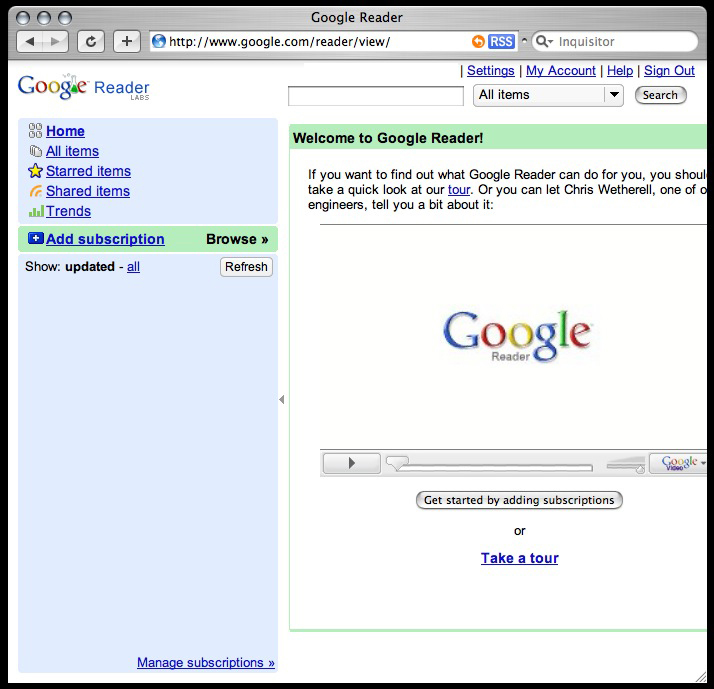 MacRumors reports Apple has an AJAX/Web 2.0 RSS reader in the works specifically for iPhone. Safari gets a big thumbs down. However, iPhoney (using the iPhone agent string) doesn’t get turned away… Nothing is currently served up. But, no “go away” message either. Wish there was some way to ‘view source’. Several people have asked me how I create my non-blog-related RSS feeds. Short answer is a snap – I use Feeder from Reinvented Software and then publish the files to the roots of my sites. See, if they’re sitting at the root, most RSS enabled browsers and plugins and agreggators will automatically detect the xml files allowing your visitors to subscribe. There’s a bit more that goes into the production end. But, not by much. Feeder is one of those potentially very complex apps that can do amazing things (QuickSilver, InDesign and the like come to mind). Or, if you’re not inclined to go gonzo with it you can make good things happen scratching the surface, like I do. My feeds currently have enclosures and the bare minimum of embedded HTML formatting. I seldom put graphics in… but have been known to on occassion. As mentioned yesterday I’m dead set on improving Safari 2.x’s behavior in the RSS view. I should be able to ctrl+click on a feed’s subject or even a link within a feed and select something like “Email this” or SOMETHING! for crying out loud. So, that’s what I’m going to create… That is, unless someone else out there knows of just such a thing. In which case, I’ll still do it and accidentally learn something new/cool in the process.